I had a craving for egg curry so when I got home from work I pulled stack of Indian cookbooks off the shelf and started flipping through them. 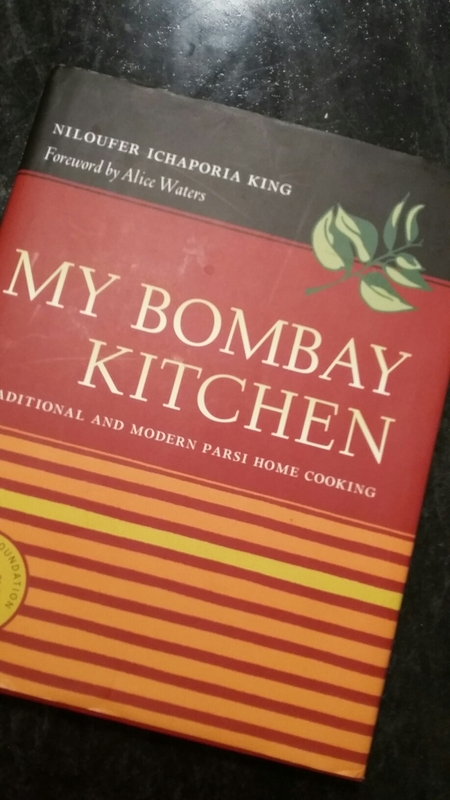 I landed on a recipe for ‘Bombay Curry’ in Niloufer’s book. Not at all like the tomato based egg curry I generally make. And I made a lot of additions and modifications along the way. 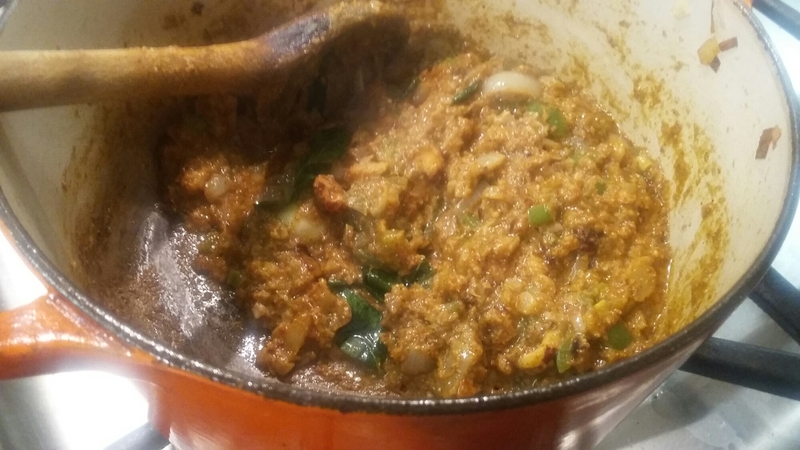 For this one I browned onions with curry leaves and added a spice paste that I made with cumin coriander chilies ginger garlic and hazelnuts. 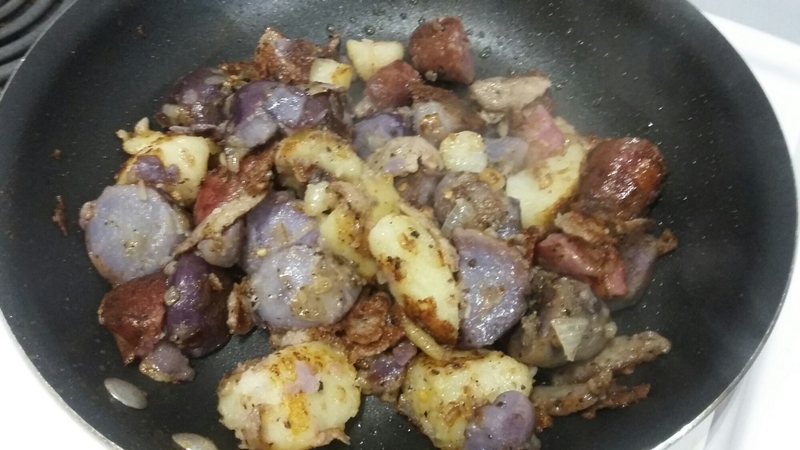 I added a can of coconut milk and some water and simmered for a bit then added a few potatoes cut into chunks. In all it cooked for about and hour until the sauce was thick and the oil floated on top. 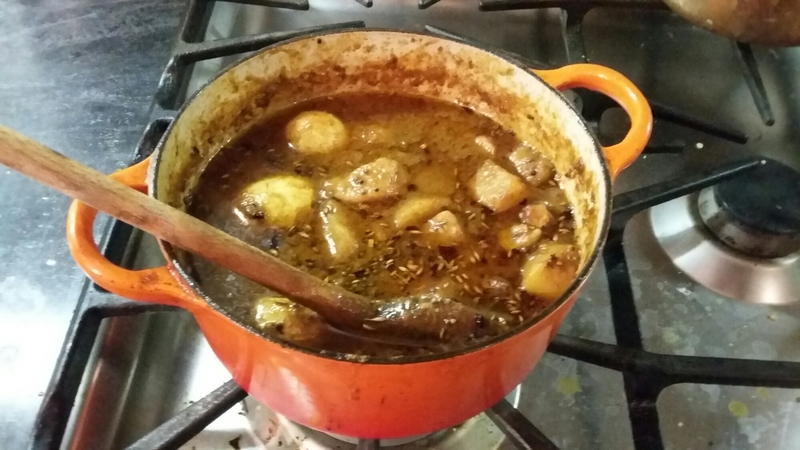 I added tamarind and some hard cooked eggs and let it heat through. To finish it off I made a tempering with cumin, fenugreek, and mustard seeds with chili flakes and poured it on top. Nothing like I’d had before. So good. 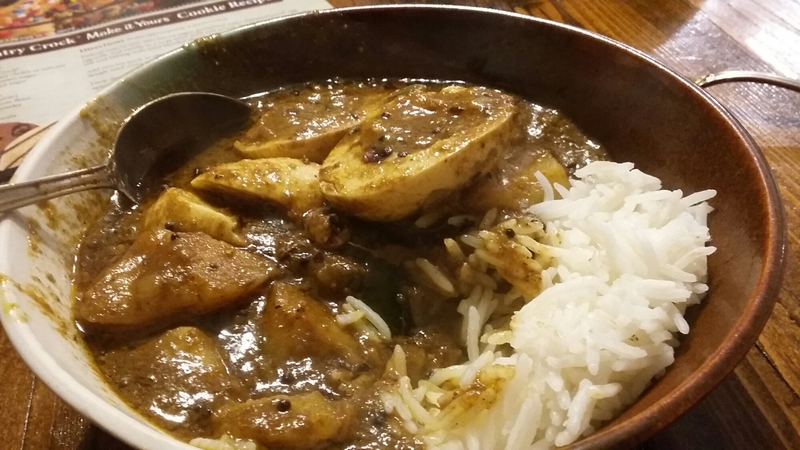 I served it with rice and had seconds. I took the opportunity to email a long lost friend from my Kitchener days. 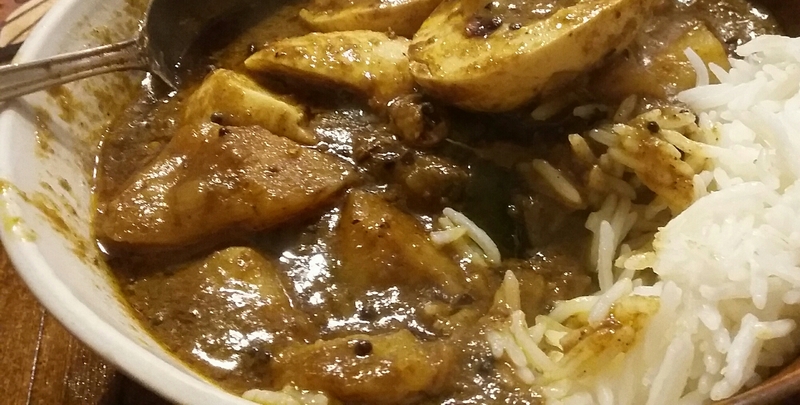 Egg curry was always a favourite of hers. We had a little catch up and swapped garden stories. I have fond thoughts of my time in Kitchener and I do miss many friends I had there but this is, without a doubt my home here in Killaloe. 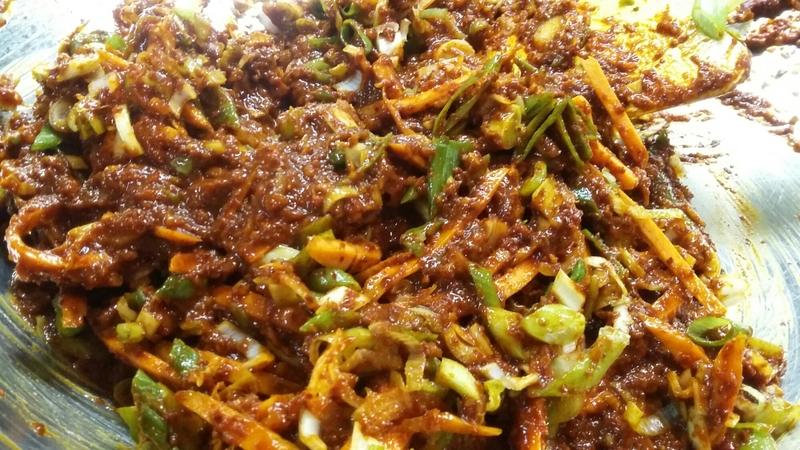 Kimchi is a traditional Korean vegetable side dish / condiment thats typically eaten with every meal in Korea. There are countless variations with different types of vegetables and flavouring. 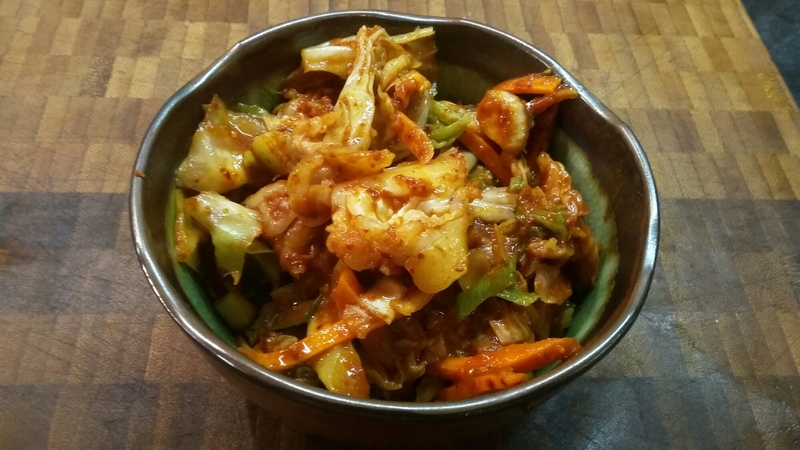 I chose to make baechu kimchi – a traditional cabbage kimchi. 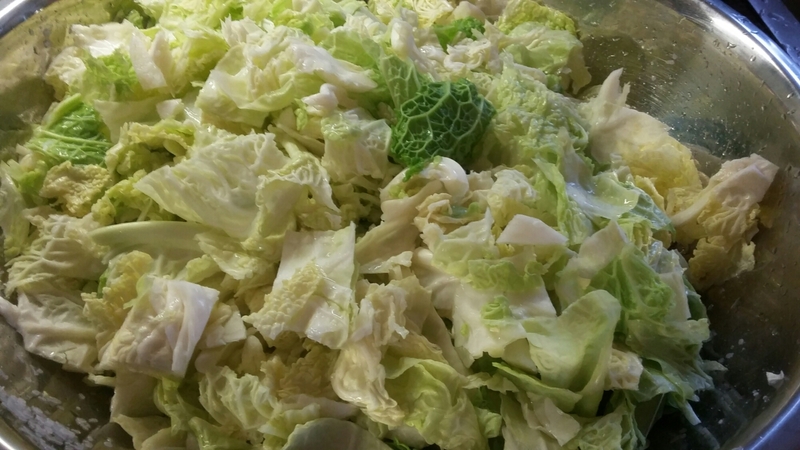 I started by chopping up 2 large heads of savoy cabbage that I picked up from Joanne at the market and coating them in salt to draw out the water. While they were doing their thing I made a kind of porridge out of glutinous rice flour and water with a little honey. Once the porridge cooled I put in the food processor and added half a cup of garlic, some diced onion and chopped up ginger, some fish sauce and a LOT of gochugaru – a Korean chili powder and wizzed it all up. 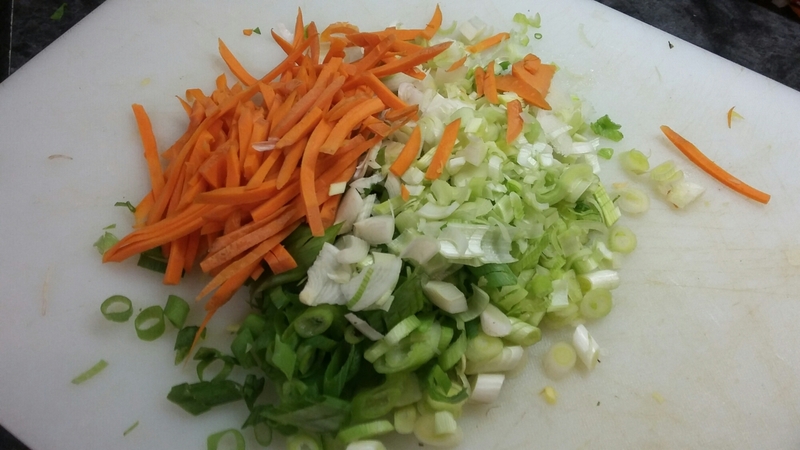 Next I added some veg – leeks, green onions, and carrots and then to all of that I added the well-rinsed cabbage. I packed it tightly into 3 mason jars and put the lids on loosely. They will ferment on the counter for a few days and then I’ll store them in the fridge. There was a some left that I ate as a salad with my dinner. This is like sauerkraut with a whole lot of character. I can only imagine how good it will be after it ferments for a while and develops some depth of flavour. Yumm. Rest in peace Carol, Anastasia, and Natalie. It’s been a busy month so far. But good with lots of time in the kitchen preserving the harvest. I picked a bushel of tomatoes from my garden and turned them into sauce. Having the food mill makes the job a lot easier. 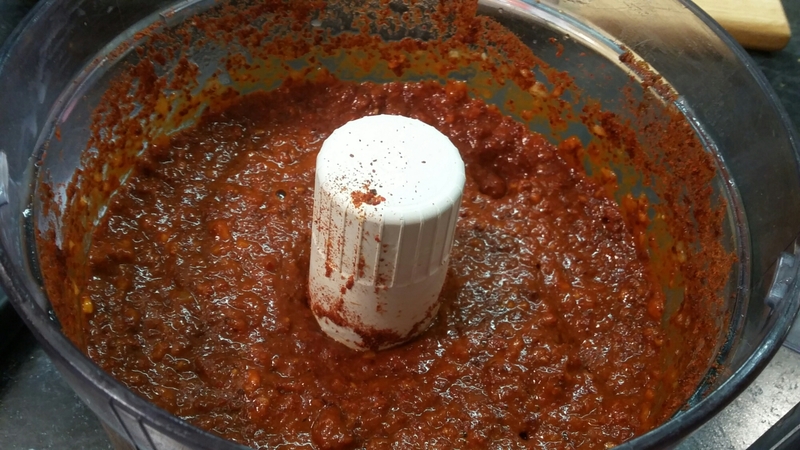 I washed and chopped the tomatoes, put them in the hopper and turned the crank. 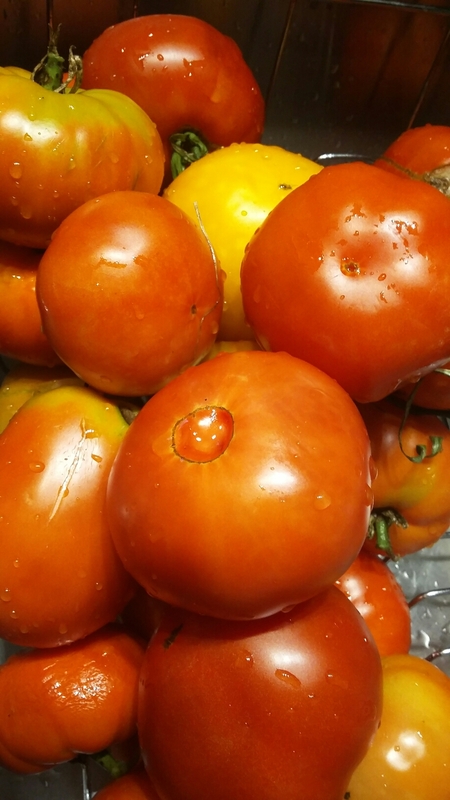 Tomato pulp comes out one side and the seeds and skin come out the other. I reduced the pulp by half and processed it in the pressure canner. I likely have enough plain tomato sauce to last the year. A couple of weeks ago I picked a 12 quart basket and canned them whole. 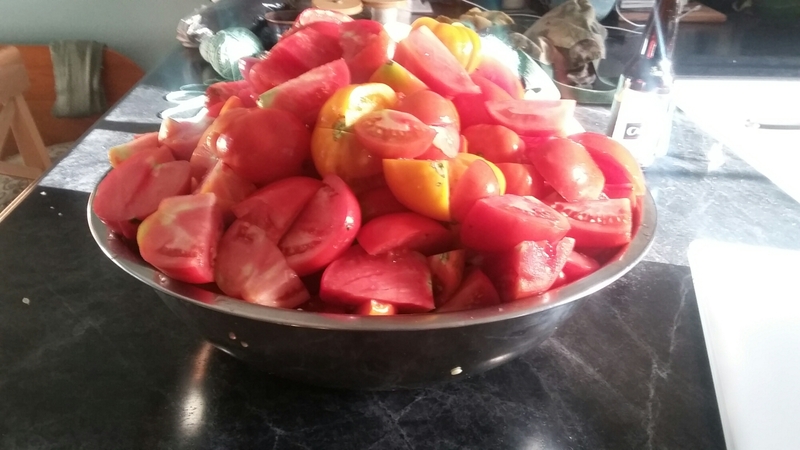 I think I’m done with tomatoes for the year. 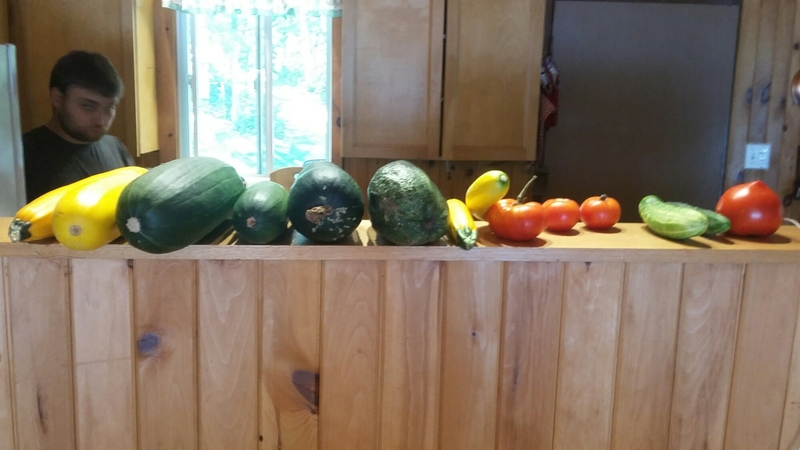 My garden produced loads of zucchini. I sauteeed it, made fritters, pancakes, baked zucchini tots, breaded slices and salads. And I canned 2 batches of zucchini relish. I also gave lots of it away. Fermented honey garlic dills have been a big hit this year. I’ve likely made close to 20 quarts and they keep getting eaten. 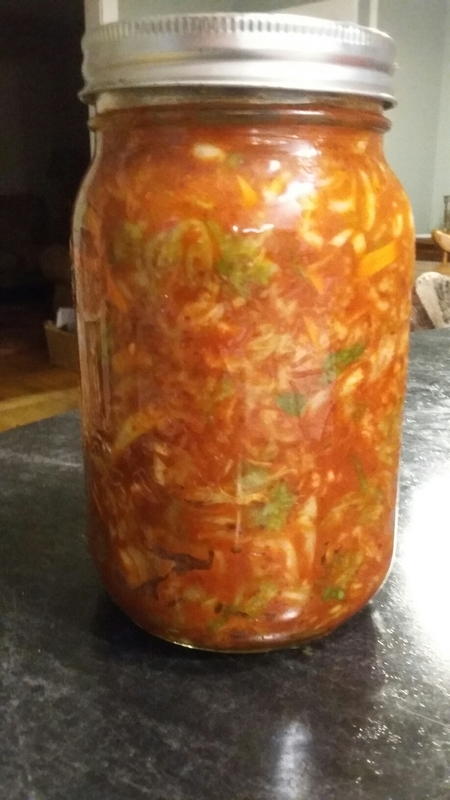 It’s a pretty quick recipe where I slice the cucumers , mix with salt and garlic and dill, cover with water and ferment in the jars for 3 days before putting them in the fridge. These pickles are my most successful fermented cucumber yet. I’ve made 2 batches of tangy dill cucumber relish. It’s so good. I envision eating most of it by the spoonful in front of the fridge at night. 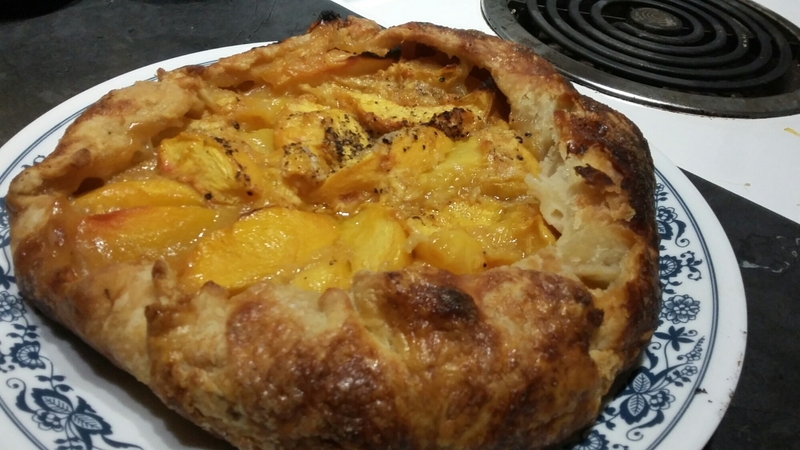 And I’ve made a lot of peach galettes. Dinners continue to be local feasts. 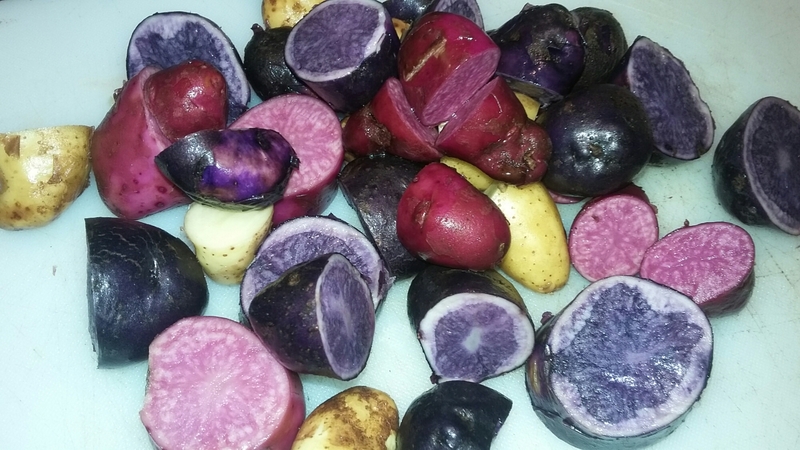 Last night I had garlic and pepper sausages from the Shulist’s with some really really good purple and red potatoes from Blake; and corn from David. Today the leftovers became a yummy breakfast. Garden clean up will start soon. I still have beets, carrots and Jerusalem artichokes to harvest and process but pretty much everything else is ready to go. And then I can start to plan for next year’s garden.